YES! GradeSpelling.com is 100% free! If you need additional functionality including the below list, then you should check out SpellingClassroom.com. Challenges students to achieve success via rewards. You can try SpellingClassroom.com with a 14 day Membership trial which requires no financial information. 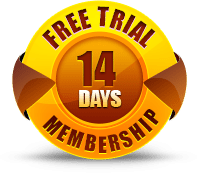 You will first need to create an account (free) to start a trial. What's the difference between GradeSpelling and SpellingClassroom? Both GradeSpelling and SpellingClassroom are our Spelling & Vocabulary programs. GradeSpelling is 100% free with no registration need. Our premium version with more functionality is SpellingClassroom.com. If you need additional functionality including the below list, then you should check out SpellingClassroom.com. What about the BigIQkids Spelling Vocabulary program? We will be phasing out the BigIQkids Spelling Vocabulary program and replacing it with SpellingClassroom.com (Premium) & GradeSpelling (Free). Upgraded BigIQkids Members will be able to use their BigIQkids accounts until their expiration date. We will be notifying current BigIQkids members of this change..
Is Grade Spelling self-paced learning? At school, students are required to advance as a group, but with Grade Spelling, your child has the ability to govern their own progress and excel at their own pace. What is the difference between the spelling and vocabulary word lists? We would recommend our Tricky 450 word list for spelling as it’s our newest word list which was built around commonly misspelled words for 3rd-8th graders and the lists are grouped around a specific focus like word sounds and patterns. Spelling word lists – focuses on how words are spelled and pronounced. Vocabulary word lists – focuses on the meaning of words and using the word in context. For example. a spelling word list could have words like ‘hat, sat, rat, cat’. A vocabulary word list would have words like ‘greedy, arrive, nervous’. Do you have Spelling Classroom on mobile devices like iPads, and Android and Kindle Apps? GradeSpelling- CAN USE THE LIVE SITE for iPads. Our live site (www.gradespelling.com) works on iPads, you do not need an Apple App to run our program on Apple Mobile or tablet devices. Getting started is easy. Just select your grade and start at lesson #1. You should go through each lesson and not move to the next lesson until you pass the Spelling Quiz, Spelling Test and Vocabulary Test with a score of 100%. Most students do one lesson each week. When you complete a grade you’re ready to move to the next grade level to advance. 1. Clear Browser Cache – most issues are resolved by clearing your cache. On most browsers you can clear your cache by pressing the keys at the same time. If you see a white page this may be because you are not logged in or not connected to the Internet . You need a strong broadband connection to use our program. Make sure your Internet connection is strong. Please make sure you are LOGGED in as a teacher or student and have selected a word list. Go to the home page and log in.